The perfectly level surface of a mirror pool blends subtly into the architecture and landscape of your home and garden. The water line seems to have no limit as it disappears mysteriously into the surrounding decking. The water overflows on all sides, creating an illusion of infinity as it brims up to the coping and doubles its charm with a unique and fascinating mirror effect. Whatever style and ambience you create around your house, a streamlined and elegant mirror pool blends into the setting and becomes its major feature. When you choose an overflow mirror-effect pool you reap all the benefits of exceptional surface skimming conditions. 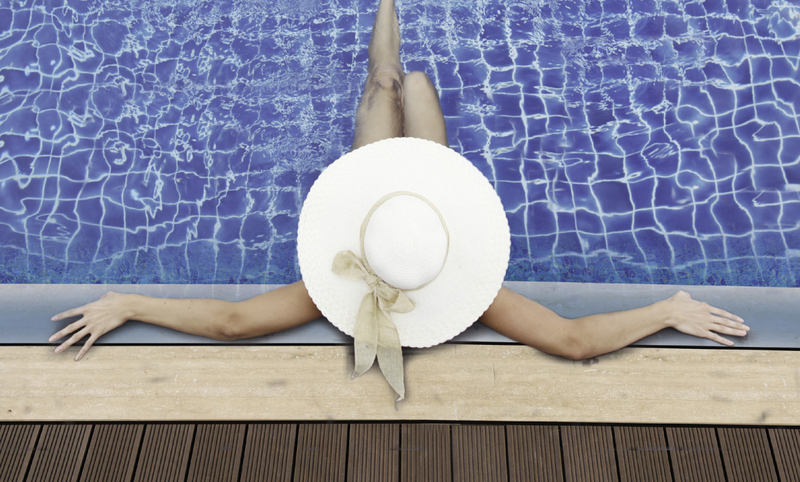 The constantly brimming water eliminates impurities automatically before they have time to settle on the bottom of the pool. 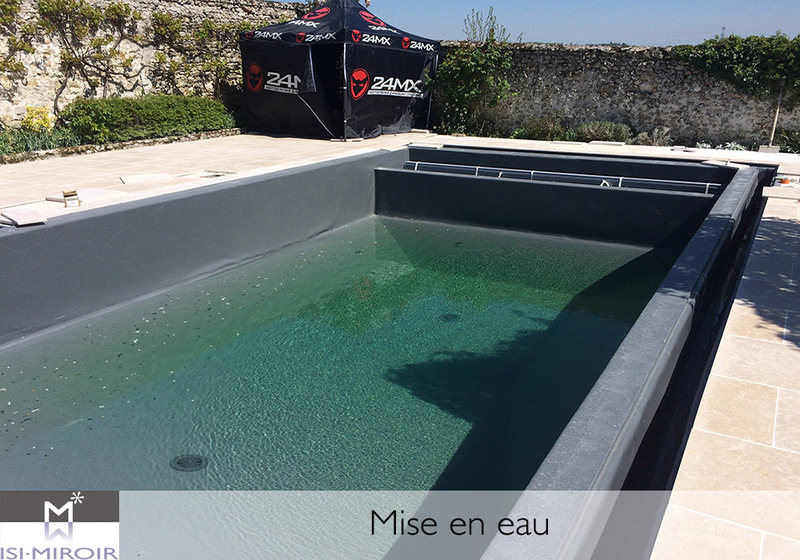 The overflow is collected in the ISI-MIROIR channels installed all around the pool. The water is stored there, then siphoned out, filtered and reintroduced into the pool through the inlet jets. 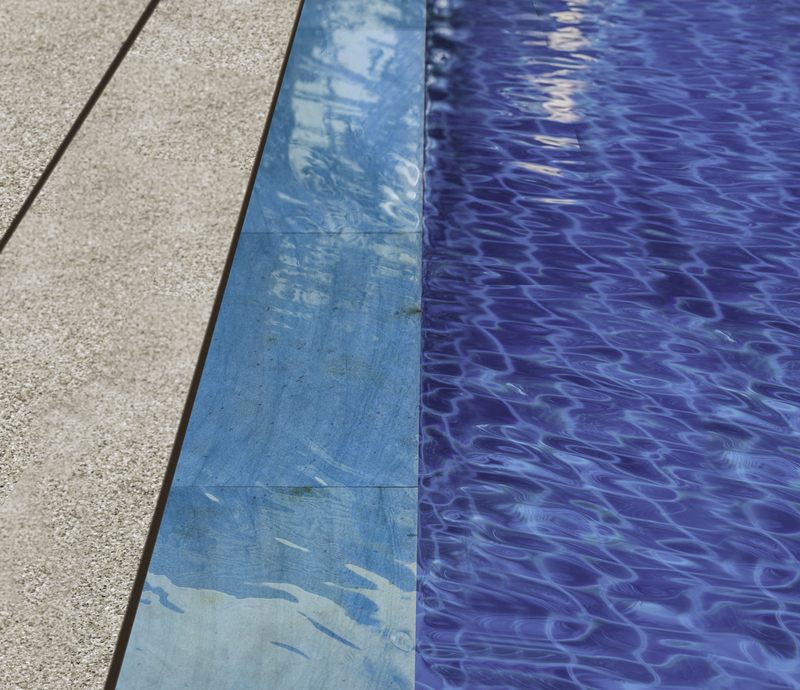 The filtering quality of the ISI-MIROIR system allows you to substantially reduce the use of pool maintenance products. 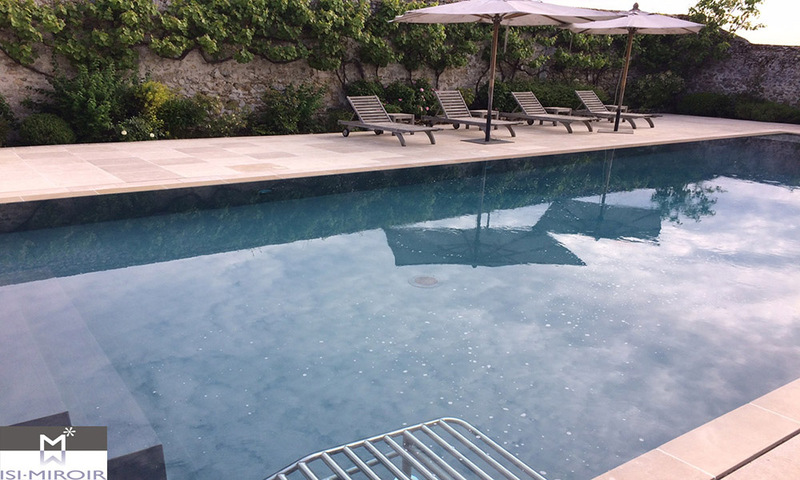 Because the mirror pool water covers the coping, the pool gains in depth, which can thus be reduced when building the pool while still enabling you to retain the desired depth. Designed for your comfort, the innovative and patented ISI.MIROIR system comprises, in a single modular element, a channel, a levelling tank and a system for regulating the height of the top of the side wall. It also provides optimal water barrier. 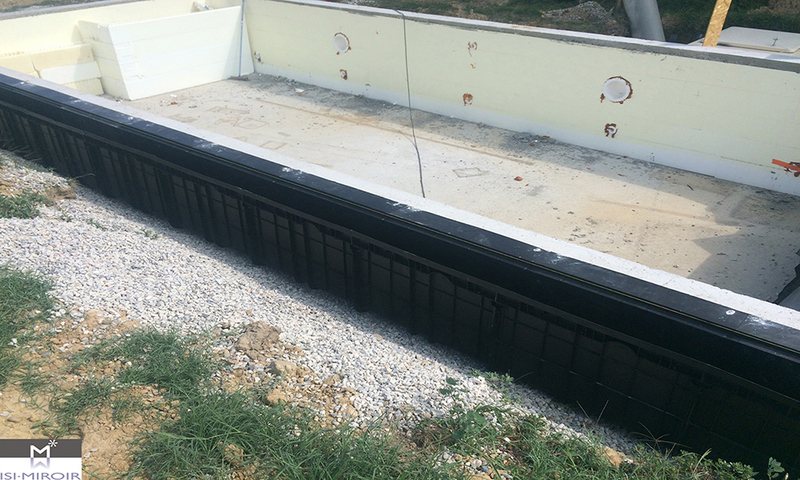 The system is easy to install, adapts to all types of pools and allows for a wide range of geometric shapes for both new and renovated pools. This type of overflow pool is often synonymous with luxury and requires a larger budget than traditional pools. 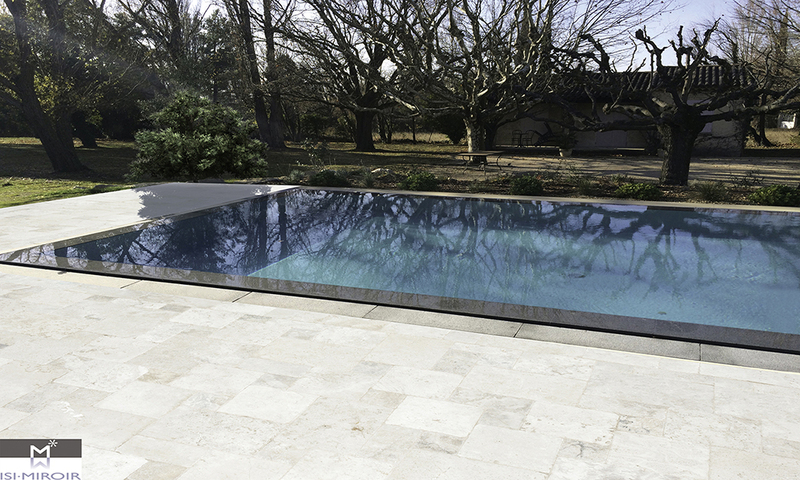 Its incomparable aesthetic qualities and ease of maintenance have nevertheless made it very popular for private pools. 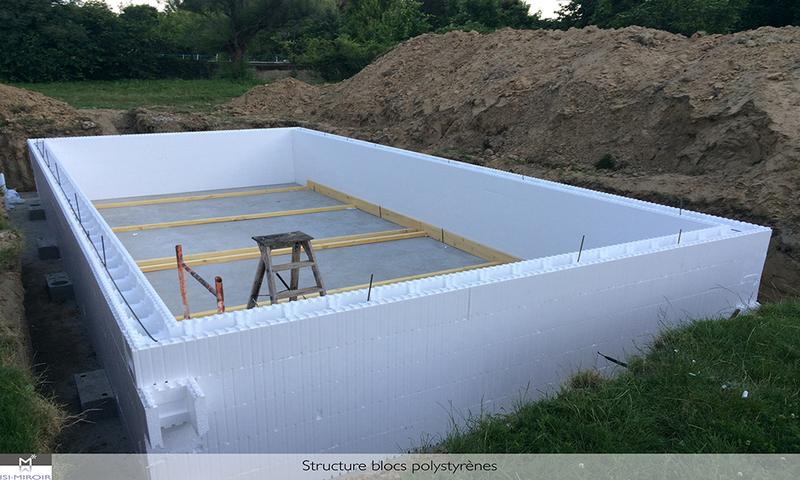 After two years of research and development (in partnership with the CSTB and the Pierrelatte training centre for swimming pool professionals) ABP now offers an innovative system that makes these dream pools affordable for both domestic and professional use: ISI. MIROIR. 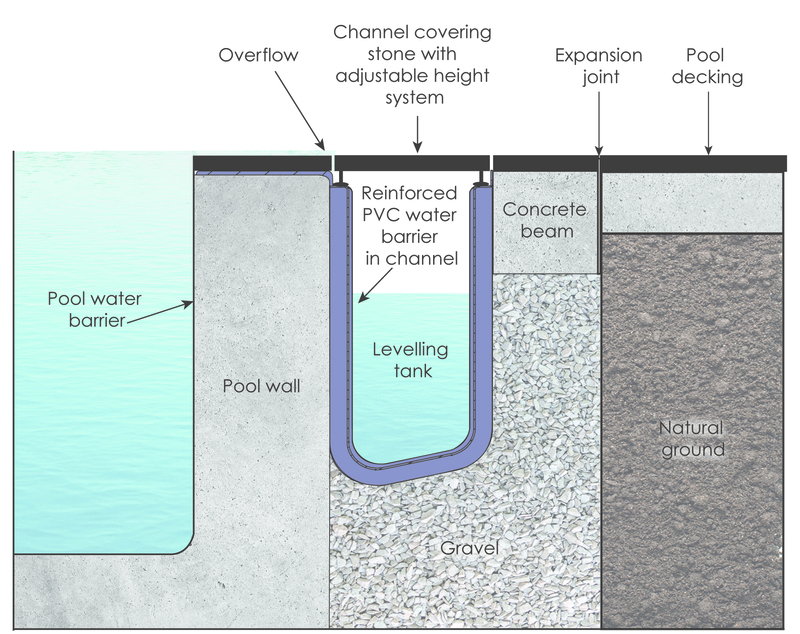 Having achieved our first objective: technical and financial mastery of mirror pool construction, we patented our innovative levelling channel system. 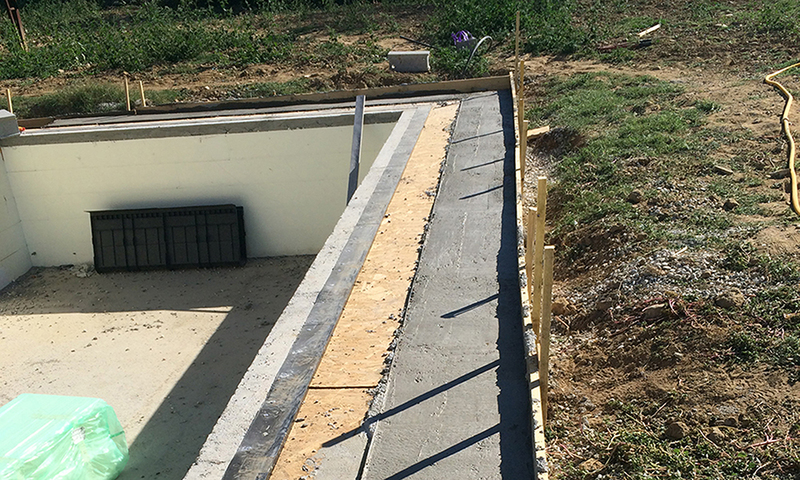 In compliance with the latest European standards, our technique consists in combining in a single modular element both the channel and the levelling tank, as well as a system for regulating the height of the levelling course, thus ensuring an optimum water barrier and easy maintenance. 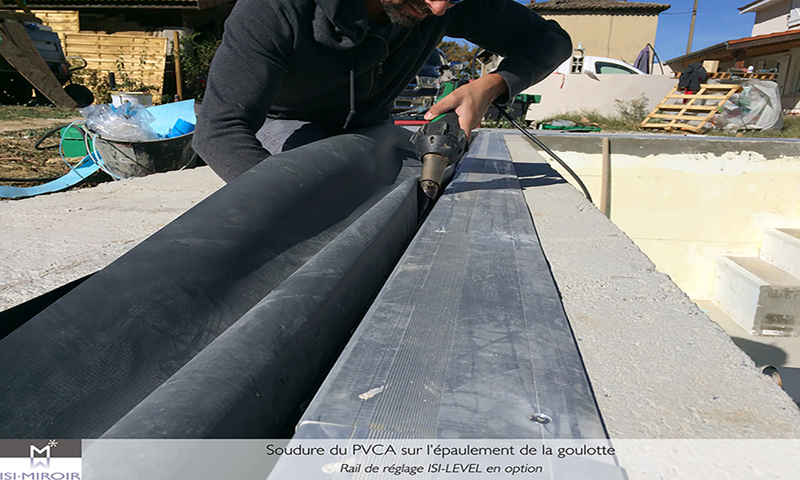 ISI.Miroir® also enables us make the previously-unadaptable mirror-pool technique available for all types of pool construction. 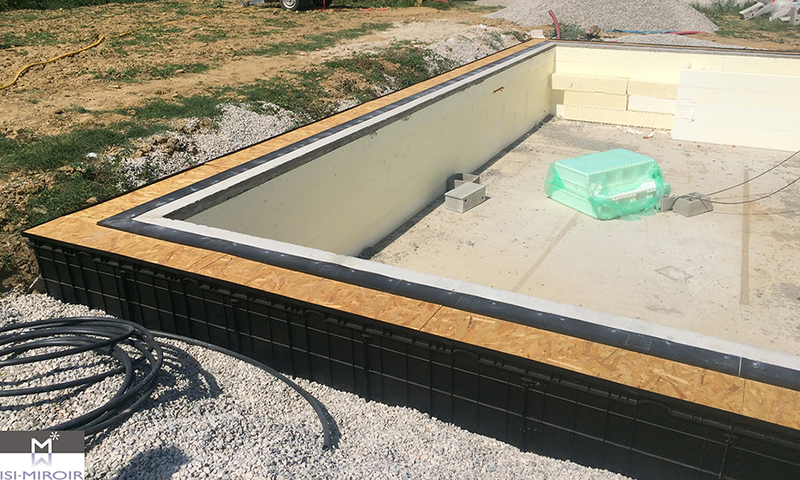 The 4 major features of the design, easy installation, reliability, optimal water barrier and cost management now make it "the" must-have technique for installing a mirror pool, whether you're building a new pool or renovating an old one.